Mystartshield.com is the PUP that uses misleading techniques to prevent removal. Use Reimage to locate malicious components and get rid of them faster than with uninstall instructions. A full system scan blocks virus reappearance and prevents traffic to malicious domains. Mystartshield.com is a deceptive website that might appear in your browser after installation of MyStart Shield extension for Chrome. Although this questionable program promises to protect user's searches, it mainly delivers sponsored search results each time the victim attempts to use Chrome's omnibar as search box. The potentially unwanted program (PUP) we describe in this article takes control of browser's search settings and prevents the user from changing them. Technical analysis of this browser hijacker shows that it comes from the same browser-hijacking software group like myStart Toolbar and myStart virus. This supposedly useful search tool was created by Visicom Media, Inc. which has been operating for more than 10 years. You should also keep a distance from a similar copy of this hijacker, known as ShieldDefense.net virus. Typically, this potentially unwanted program shows up onto the system as a myStart Shield extension. Once installed, it alters the Extensions/Add-ons section in every browser and changes browser’s search engine settings. Consequently, the user gets redirected to http://Mystartshield.com/results.php?pr= site after entering a search query into browser’s URL bar. Experts agree that this dubious tool installs itself without notifying the user clearly; besides, it might initiate unexpected URL redirections, which makes us add it to potentially unwanted programs’ (PUP) category. 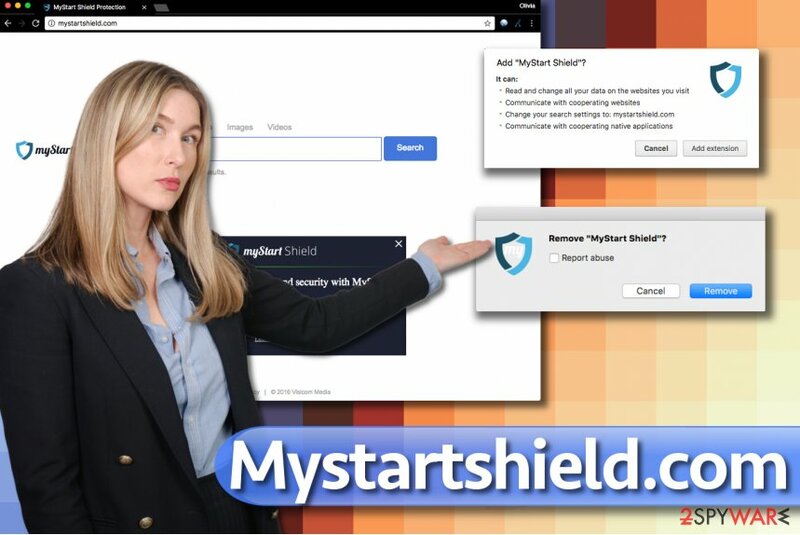 It is a must to remove Mystartshield.com virus before it starts interfering your browsing sessions, or you will be forced to encounter a lot of sponsored and untrustworthy content on a daily basis. When searching the web, you seek to receive answers to your questions quickly. Sadly, ads in search results can slow down this process and what is even worse, force you to visit websites of unknown reputation. In the worst case, you can enter malicious or scam sites and unknowingly install some browser toolbars or even more critical programs without knowing. Do not allow suspicious sites like Mystartshield.com to convince you that you need some “useful” tools before reading software reviews online. To sum up, we have to say that the search engine itself cannot harm your computer, but the results it delivers simply cannot be called trustworthy. If you think that they are powered by Yahoo just because there is its logo in the upper right corner, you are mistaken. If you looked at the tab name, you would notice that the search engine delivers “MyStart Shield Yahoo Search Results,” which is not the same. Mystartshield.com virus attempts to sneak into user's computer system unnoticed and change browser's primary search settings to hxxp://Mystartshield.com/ to make the user explore MyStart Shield Yahoo Search Results without realizing it. Sponsored search results help spyware developers earn pay-per-click revenue, and that is why they keep creating these new search tools and distributing them in the form of browser-hijacking extensions. We strongly recommend you to remove Mystartshield.com and continue using the search engine that you used before. If you do not want the hijacker to come back, consider deleting it with anti-spyware software like Reimage. 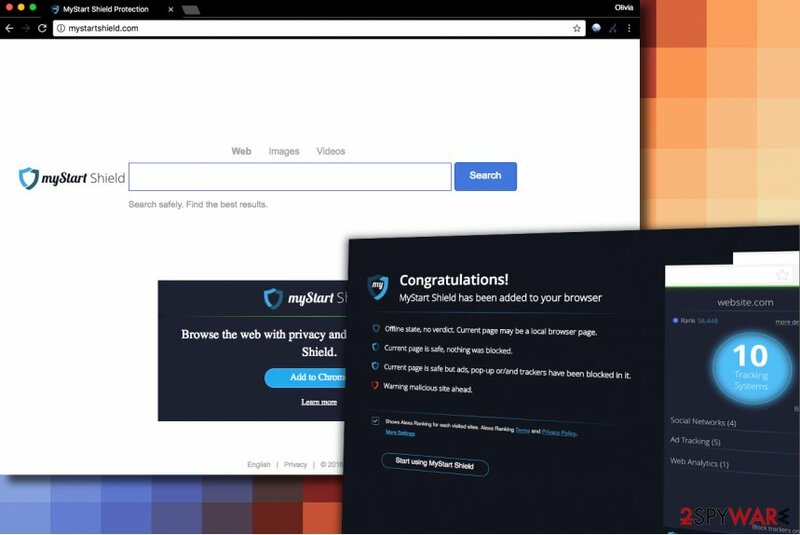 However, if you want to defeat the hijacker without using a security software, you can try following the directions provided in Mystartshield.com removal guide that we present below this article. You have to be careful when installing programs you downloaded from the Internet. Beware that the majority of them hide pre-checked permissions to install extra programs in the Default or Standard settings. Admit it, these settings always seemed to be the “right” ones to you, right? In reality, you cannot trust them. 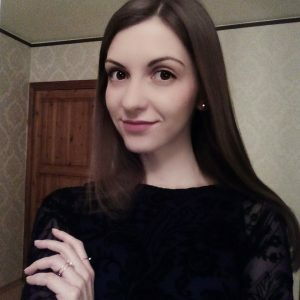 We strongly recommend you to switch the selection to Custom/Advanced and then deselect all suspicious additions that came in tandem with your chosen program. You don’t have to dedicate hours for Mystartshield.com removal. The browser hijacker’s danger level is nowhere near to malware so that you could uninstall it yourself quite easily. We recommend these instructions prepared by 2-Spyware experts – they will guide you through the removal process and help you to eliminate the potentially unwanted program (PUP) with ease. For a faster and more professional Mystartshield.com removal option, install and update an anti-spyware software like Reimage. It will help to detect files associated with the virus and all suspicious programs on your PC. Erase all software by Visicom Media from Windows operating system. Here, look for Mystartshield.com or any other recently installed suspicious programs. Wait until you see Applications folder and look for Mystartshield.com or any other suspicious programs on it. Now right click on every of such entries and select Move to Trash. When in the new window, check Delete personal settings and select Reset again to complete Mystartshield.com removal. Once these steps are finished, Mystartshield.com should be removed from your Microsoft Edge browser. Here, select Mystartshield.com and other questionable plugins. Click Remove to delete these entries. Now you will see Reset Firefox to its default state message with Reset Firefox button. Click this button for several times and complete Mystartshield.com removal. Delete MyStart Shield virus from Chrome this way. Here, select Mystartshield.com and other malicious plugins and select trash icon to delete these entries. Click Reset to confirm this action and complete Mystartshield.com removal. Eliminate MyStartShield hijacker from Safari by cleaning suspicious entries from the Extensions panel. Here, select Extensions and look for Mystartshield.com or other suspicious entries. Click on the Uninstall button to get rid each of them. Here, look at the Homepage field. If it was altered by Mystartshield.com, remove unwanted link and enter the one that you want to use for your searches. Remember to include the "http://" before typing in the address of the page. Now you will see a detailed dialog window filled with reset options. All of those options are usually checked, but you can specify which of them you want to reset. Click the Reset button to complete Mystartshield.com removal process. ^ Google will block extensions that try to deceptively install themselves on your browser. Panda Security Mediacenter. News. ^ Breaking down a notably sophisticated tech support scam M.O.. Microsoft Windows Security Blog. Security Information, News, Intelligence, . ^ SenzaVirus. SenzaVirus. Spyware, Malware Removal Guides. This entry was posted on 2017-10-04 at 10:09 and is filed under Stealing programs, Viruses. You can quickly scan the QR code with your mobile device and have Mystartshield.com virus manual removal instructions right in your pocket. How did you remove Mystartshield.com virus?